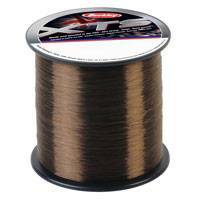 This new premium Berkley XTS Mono has been specifically designed to tackle the hardest of fighting fish; primarily aimed at the UK specimen market, this line is ultra smooth, has outstanding knot test and shock strength. This dark coloured mono just purr's off the spool on the cast, due to its limp and memory free nature! Sure to be a winner in the bigger strains for carp, pike, tench and barbel and perfect in the smaller strains for the all round pleasure and coarse angler!  High impact & high knot strength.  The perfect all-round line. 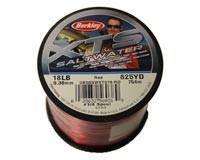 Berkley XTS Saltwater Red, the most allround Saltwater Mono fishingline in a hi vis colour above water and a lo vis below the surface!  Hi vis colour above and lo vis below the surface.